I love David Lynch's Dune (1984). Every frame of it is a work of art. It has the most incredible production design, costumes, world building, and cast of any science fiction film I have ever seen. The Atreides family relationships with each other and with their subordinates is beautiful to behold. The dialogue is wise and darkly comedic. And up until now, no cut or edit of the film has done justice to director David Lynch's original vision. So I undertook putting together my own edit titled, "Dune: The Complete Saga." While other fan edits exist, I never felt any of those edits fully embraced the Lynchian flourishes of his film adaptation. Many of those edits tried to undo some controversial changes from the book, including the voice over inner monologues. I basically geared my edit to make as much sense of the characters, story, environment, and plot as possible for the viewers. And I was sure to only include footage that adds to the overall cinematic experience, leaving a few deleted moments on the cutting room floor where they belonged. My cut of Dune: The Complete Saga is about as close as possible to presenting the film Dino de Laurentis and David Lynch originally set out to make together. And my cut is, unfortunately, likely as close as we are going to get to a Director's Cut, given David Lynch's former public statements in which he refused to re-edit the film. So barring a possible future studio release, which could help me access to the original film elements for a definitive 4K edition, then this "Complete Saga" cut currently remains the most viable option for most viewers. You can Download the Torrent Here for v3.0, the latest and highest quality version of my cut. Note, from what little I understand, only those who own the original version of the film on home video have a right to own the various fan edits, too. 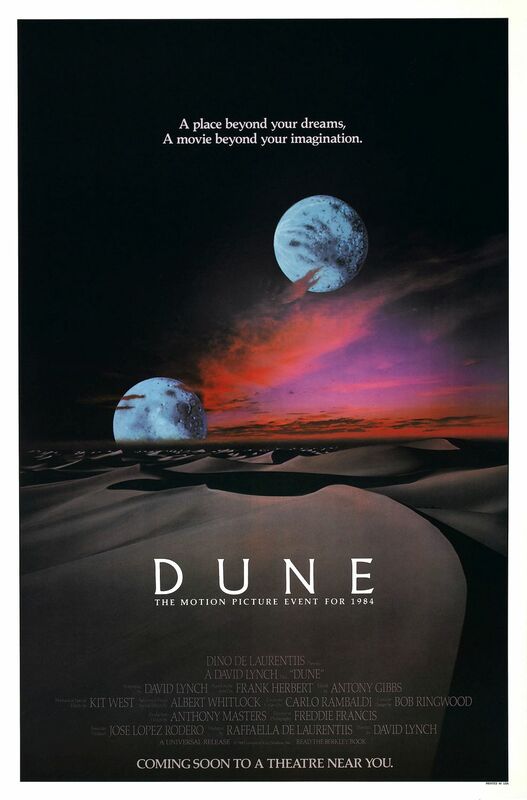 "Dune: The Complete Saga (HD Remastered) is the third and the latest version of Michael Adam Warren's celebrated 3-hour fan edit of David Lynch's Dune (1984). The second version of this fan edit was discussed and featured recently on Nerdist, The A/V Club, Digg, SF Signal, and many other sites. "Changes in version 3.0: Overall picture and sound improvement with a complete remastering of the edit with better quality visual and audio sources. Improved editing and scene transitions. Additional footage of Princess Irulan's prologue added after the Guild's visit to the Imperial Throne Room, altered narration in the following scene on Planet Caladan. And added Princess Irulan narration during the introduction of Planet Geidi Prime. 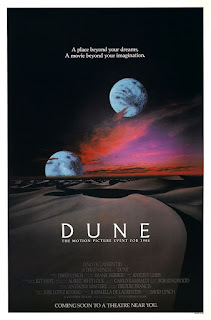 "Dune: The Complete Saga integrates footage from the original Theatrical Cut, Extended TV Cut, and deleted scenes to make the most complete version of the film as of 2012. I have done this as a labor of love to give fans of this under-appreciated gem an alternative version to the two flawed cuts currently available on Blu-Ray/DVD. "I only acted as a fan editor and did not originate the content of this movie. MCA Universal and its associated parent companies own all rights to this material. They have released a beautiful Blu-Ray and DVD set of David Lynch's classic movie, which I highly recommend you buy to demonstrate to the studio that there is market for this movie to be fully restored one day, ideally with a new master cut of the film in 4K to restore as much of the story as possible with the utmost attention to detail that I could never hope to match in this good-spirited fan effort. "Viewers will notice the footage from David Lynch's Theatrical Cut is expertly edited, color corrected, and sound designed better than the far poorer extended TV Cut, which was originally created without the director's authorization or oversight when the movie was prepared to air as a reconstructed mini-series for television in 1989. "For this reason, the elements culled from the Extended TV cut are typically inferior, more poorly edited, not color corrected accurately, and are lacking certain basic special effects (such as the Fremen's lack of blue eyes). The sound design was also of poorer quality in the TV cut, which was particularly egregious since this film's original sound editing and design were nominated for the Oscar. "If I had the resources, time, and equipment necessary to correct these issues in a thorough re-edit of the original material with the studio's blessing, then I would gladly do so. And I offer my services to MCA Universal free of charge to help see the project come to fruition. "As is, I only had the material available on the Blu-Ray and DVD to work with, so without access to the original film elements, this particular cut of the film is going to have a few unavoidably choppy scene transitions as we phase from footage of varying degrees of quality. But I meticulously reconstructed Dune with nearly all the available footage of the film, with an entirely new structure differing from both the Theatrical and Extended TV Cuts to better preserve story continuity and improve the dramatic flow. "David Lynch's efforts in bringing this film to life have been often criticized in the past, and I believe is his most unfairly maligned film. My biggest intention in creating this cut of Dune (1984) is to show a sliver more of his amazing directorial touch and show more of what the film could have been were it given a longer running time than the overly short Theatrical Cut, and if it had been edited with just a bit more care when it was later released as a mini-series. Thank you." I first released v1.0 of my fan edit around 2012, but The Complete Saga did not really gain fame until shortly after I released v2.0 back in 2015, which was widely shared and discussed by Nerdist, Digg, The AV Club, SF Signal, Flick Nation, and many others across the blogosphere. After I began receiving hundreds of thousands of views on the fan edit, Vimeo shut down not just the video but my entire account. Ironically, they said they were fine with letting me keep the fan edit up until it became super popular and drew too much attention to it. Since then, I have developed my ultimate cut of the film, v3.0, the torrent of which is linked to right here: Download Here 12/07/2018 Note: The original site went down, but this mirror site popped up in its place. And if you already have a Torrent client, then here is the magnet link so you can download the torrent directly. This is the easiest way to get the correct one. If for some reason the above options do not work, then you can infrequently download a copy at this Backup Link. But it is the least reliable way. 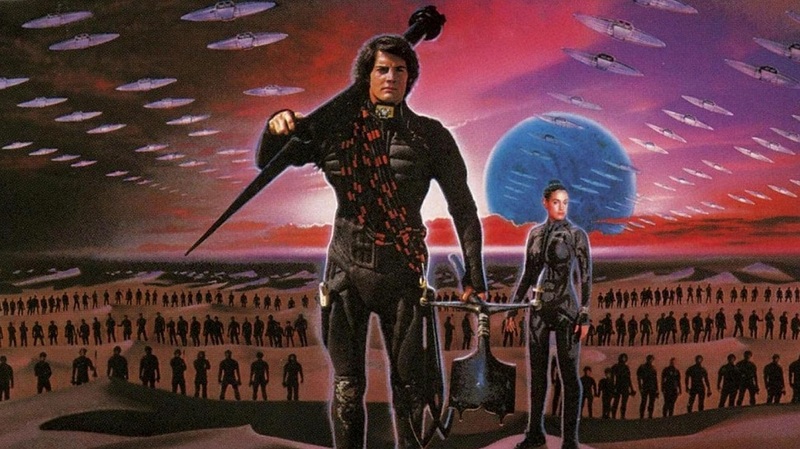 Version 3.0 is the latest and best version of my cut of Dune (1984) to date. It is fully remastered in High Definition video and audio, and is a major improvement over every previous version of my fan edit. Please be sure you own a copy of the original film first before downloading my cut of it, whether on Blu-Ray, DVD, or a digital copy through your officially licensed streaming library, such as on iTunes or Amazon Video. To download any fan edit without first owning an official copy of the original movie could potentially violate copyright. So be careful. I really want to see your film but the download server caps you at 5gb and I can't get it. Help. The spice must flow. Hmm, you might want to try again in a week or two when it resets. If some good torrent seeders have a copy of it now, let's try to get it out there. Do you know if someone has already tried to do subtitles (in english) for your cut? Thanks in advance and thank you a lot for this! the torrent looks unavaliable, is there any other way I could download it? I just updated the links. It should be easy to get a hold of a copy now. Wow, amazing! I enjoyed this so much, all these new scenes, it is the full story now. Thank you for doing this cut! I wish the movie owners would take you up on your offer to cut it from them for a official release, so more people could enjoy this. But sadly, the movie studies most of the times ignore the fans. Looks like they are still living in the last century, where you tell fans what to like, not the other way around.